Hydrodynamics has found that selecting the right geological tools is critical to successfully meeting our clients’ resource exploration and development goals. We start with designing an exploration program that defines our clients’ resource needs and expectations, the limitations of the resource, physical and environmental constraints of the project area, and project economics. It is during this initial task that we work with our clients to choose the right geological tools and expertise needed to meet exploration and development goals. Hydrodynamics applies our geological exploration experience to working in remote wilderness areas. We have worked in extreme weather conditions for drilling programs from 130˚ F in Death Valley to subzero temperatures in Midwest winters. 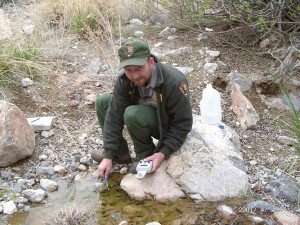 Dr. Bredehoeft has managed exploration geology programs for the U.S. Geological Survey for 30 years. Michael King was a partner with an exploratory well drilling company. 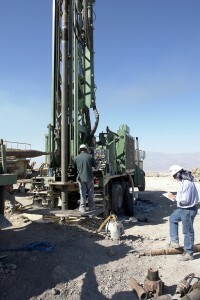 Hydrodynamics managed geological mapping, exploration drilling, and geophysical survey programs for the Yucca Mountain. Hydrodynamics is managing exploration drilling and geophysical programs for multiple energy storage projects throughout the United States. 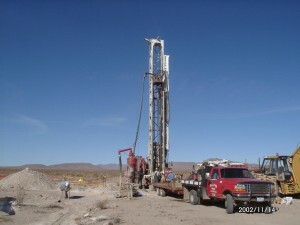 Dr. John Bredehoeft and Michael King have over 35 years of experience each on exploration and development projects that range from groundwater supplies for private land developers and water utilities to exploration for oil and gas with major oil and gas companies through out the Central and Western United States. We use this experence to design the right resource exploration and development program for our clients. Dr. Jansen with Hydrodynamics has been an exploration geophysicist for major oil and gas companies, and has applied that experience to Hydrodynamics’ groundwater resource and energy storage projects for the past 11 years.